MOVE IT! by bike has been "Moving the world to a greener future" for over 5 years in New Orleans. MOVE IT! 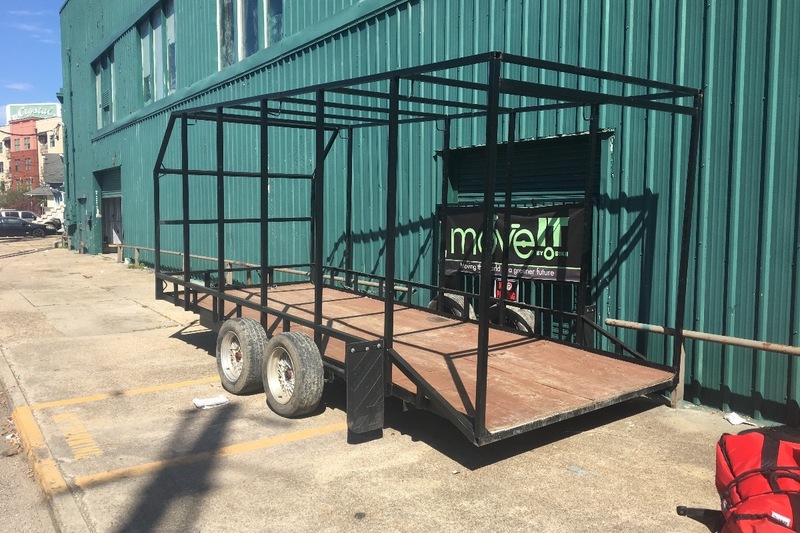 by bike is a moving company that uses bicycles pulling trailers instead of trucks. MOVE IT! by bike was doing well until illness sidelined its owner, Tim Colglazier. Check out our website at MOVEITbybike.com to see more. MOVE IT by bike is two months behind on rent and the land lord of the warehouse where the moving equipment is stored has blocked access to the trailers and bicycles needed to do our job. MOVE IT! by bike has been given a deadline to pay the back rent by the 24th of March or our lease is broken. Tim has been slowly catching up on the rent by delivering food on his bicycle using UBEReats and making from $40 to $80 a day but that is not enough to pay of the back rent by the 24th. So Tim is launching this campaign to get MOVE IT! by bike moving again and get back to doing what it does best, moving furniture and things at a fair price and paying our team of experienced movers a good wage to do that. $7450.50. I am proud of that number. It is how much money MOVE IT! by bike paid out to its independent contractors in 2017. Lets get this cash flow moving again so MOVE IT! by bike can put some money in the pockets of some hard working people. Even a dollar or two will help. A big help is sharing this with others and asking them to share as well. On the 24th of March MOVE IT! by bike will lose its lease if the money is not paid. Then MOVE IT! by bike will have to find a new home and a place for its equipment until then. The faster and simplest thing is to pay the rent and the back rent and get moving again. Remember these donations you send are loans that I will pay back. Please help give MOVE IT! by bike a hand up and so we can continue to "Move the world to a greener future." After verifying I will send you an Email confirming along with a number indicating in what position you are in the payback line. When I earn the money I will mail you a check for the amount of your donation.